Ye Olde Inn • View topic - What are you working on today? 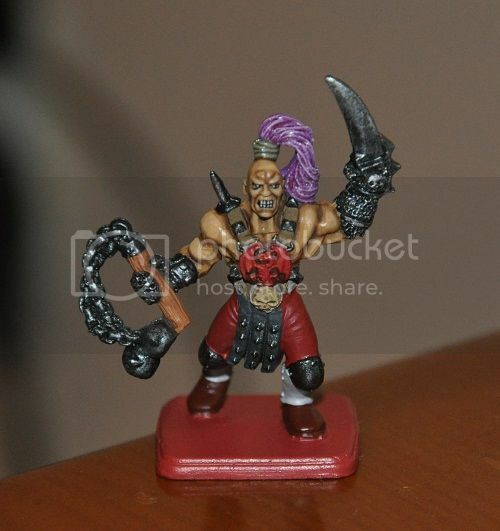 Strong Skeletor vibe from that Chaos Sorceror - intentional? Liking the grey blue skin and the Gargoyle is sharp in his classic tones. 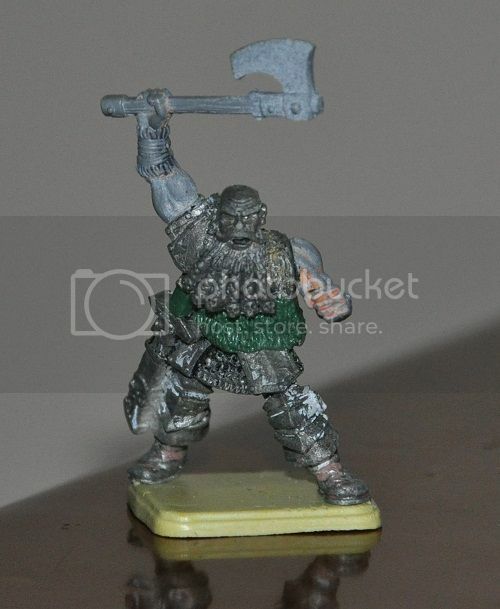 Kev Adams is the sculptor, his early Orc models match HQ figure design. 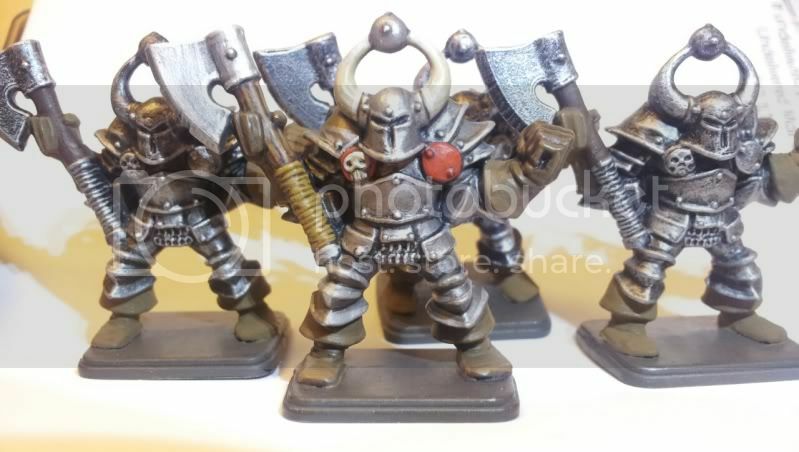 He also did work for Heartbreaker miniatures, which includes some great heavily armored Orcs with an HQ vibe. Damn, that's a great gargoyle Spiky! I doubt I could ever paint like that. 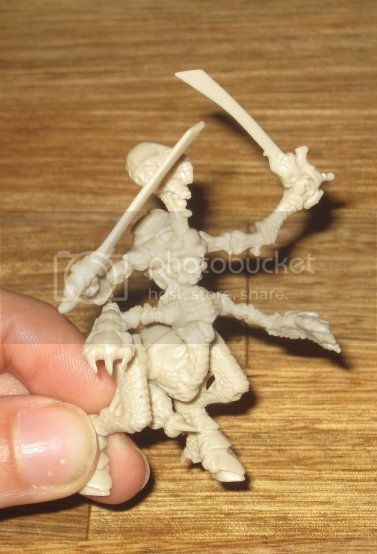 Here's what I'm working on these days, it's a warhammer quest Pit Fighter figure, that's been modded (not by me). The figure was cut in half and the upper half was kept and a new bottom half was attached. Anyway, I thought I'd paint it and sell it on ebay for some dollars (not done yet). Nice leg swap, the original was a bit dire and clunky. Using the Chaos Marauder legs from GW like that is some smart work. Thanks! I didn't do the swap myself, so I had no idea where the new legs came from. In fact, since you "got it", maybe you can identify this guy for me. Not that it will do much difference as he'll also turn up on ebay, but I'm curious. Bottom half looks like a chaos warrior. Not sure though if he is also half and half. The arms are surely substitutes, and as he was quite butchered, I added some fur with greenstuff to match his own fur (you can see it right beside his beard) and a handle for the sword. I'd be very interested in seeing the original figure if anyone can identify it. Hah, nice work again this. The arms are Chaos Marauder (GW) again, not the horsemen, the infantry versions. The upper?.. tempted to think it is a Beorg Dogs of War regiment, but it definitely has a Chaos Warrior (pre-plastics) regiment vibe about it. I'd have to look around. Some seriously old school hack and stick going on here. Seb wrote: Strong Skeletor vibe from that Chaos Sorceror - intentional? Tasoe, I like the put fighter a lot! 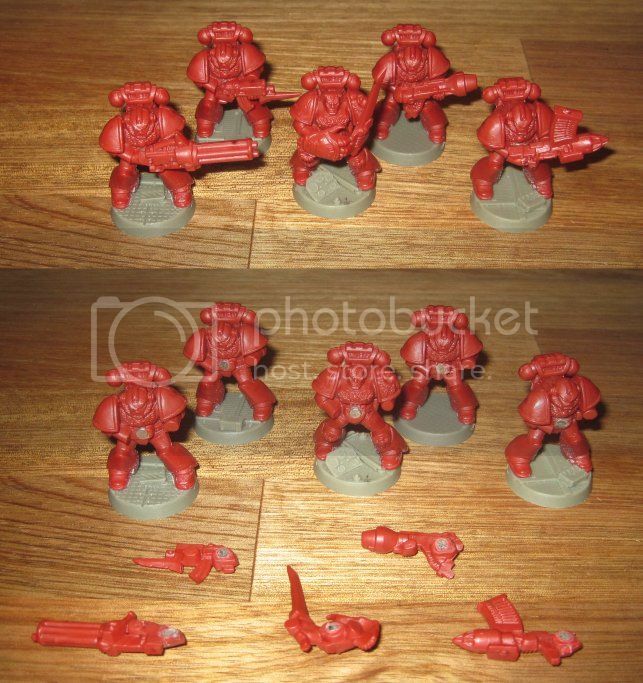 MAGNETIZED SPACE MARINES!!! On cool detailed resin bases! Wooo! 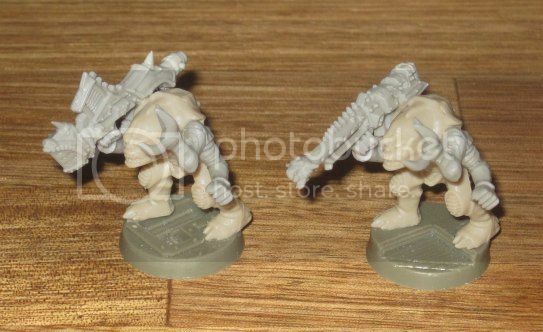 Genestealer Hybrids with heavy weapons! The magnets might seem a little excessive since the minis are already designed to swap weapons. But I've already snapped the little rod on one of the weapons while swapping, and I wasn't even violent! And since I plan to paint them anyway, easy snap magnets will wear less on the varnish than eager fingers struggling to remove the fat hard rod from the tight holes! what? For those who don't recognize the hybrids and tyranids from the game, it's from one of the White Dwarf expansions. I actually bought a full set of semi-rare classic tyranids on eBay. 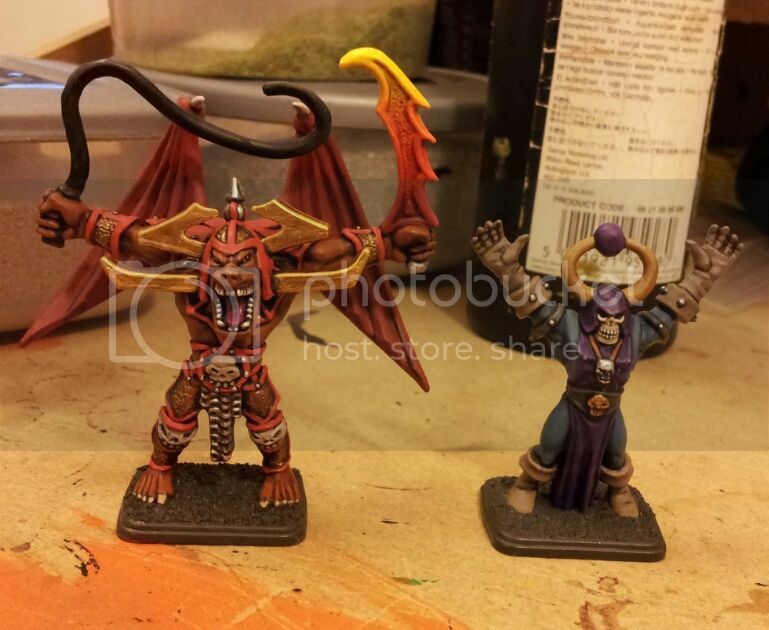 Question - where did you get the resin bases from? I assume they're not from the original set? I'm currently jumping between projects, but last night I nearly finished one of my Chaos Warriors - hopefully I can continue to get all the rest done over the next couple of weeks... I also have a conversion idea for a Chaos Champion which I might look into soon too!